Kult convinces through its clarity and harmony. A cutlery with classic but simple modern contours. 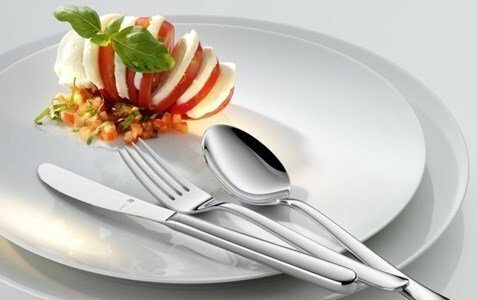 Cutlery with which you can truly enjoy the pleasure of eating! Kult can be perfectly combined with various decorations, whether classical or contemporary. In stainless steel with Cromargan ® protection. You can enjoy fine cutlery for a long time. In exchange, you only need to give a bit of attention and care. Clean your cutlery from food residue after use and do not let them dirty for a long period of time. Wash the cutlery in the dishwasher and remove them from the machine as soon as possible after the end of the cycle and if necessary, dry them with a soft cloth.